Leading greenhouse vegetable producer Oppy, and its grower-partner Divemex, have revealed that they are sponsoring a display contest worth thousands of dollars in prizes early this year. 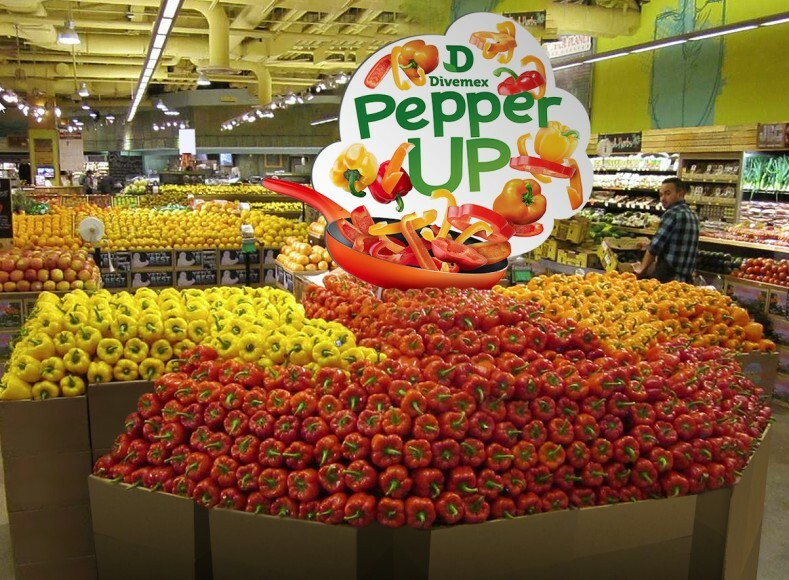 Running from mid-January to the end of March, the Divemex “PepperUP” competition invites retailers to construct large, creative displays of Divemex-branded Sweet Bell and Mini peppers in bulk and assorted pack styles. The builder of the top display will cash in on the US$2,000 grand prize, while second place earns US$1,000 and third will receive US$500. Meanwhile The first 50 entrants can select from US$25 Subway or Starbucks gift cards. “Peppers are among the most eye-catching items in the produce department,” said Aaron Quon, executive director of Oppy’s greenhouse category. 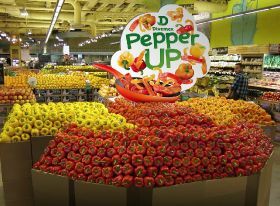 “We are encouraging our customers to drive sales by bringing their pepper displays ‘up’ in size, or in location, like moving the display ‘up’ to the front of the store or department. Divemex greenhouses are located in the states of Sinaloa, Nayarit and Jalisco, Mexico. Its season spans late August through late May.